It is our privilege to help our customers realize their dream of building a custom home. Every day, we roll up our sleeves to create the place where they will gather with family and friends to make memories — HOME. It is their most precious place, and it is an honor to build it with them. JNR Custom Homes was founded on the idea of helping people improve their quality of life through building custom homes. Our unique homebuilding process ensures that our homebuyers receive tremendous value for every dollar they invest, making their new custom home a very wise financial investment. Our founding mission lives on today, motivating our team to provide an exceptional home building experience. With the help of the experienced team at JNR Custom Homes, you can rest assured that our Homeowners vision of home is well within their reach. Mosolino Development LLC is an award winning full service custom builder specializing in Greenwich, New Canaan and Ridgefield Ct. We build architecturally designed homes exclusively with no preference for size or style of home. Whether the project is large or small we provide full staffing and attention to details throughout the project. All of our Construction Managers started as hands on tradesmen and mastered many skills before qualifying to become Supervisors. We know that all our customers expect the highest quality workmanship. We also expect the highest level of integrity from our staff and our tradesmen. Trusting relationships has been a key ingredient to our success. Whether with Architects, trade contractors or Town Officials, we know that reputation is everything and we are pleased that most of our work comes through referrals. Meeting your expectations begins with understanding your vision for a new home. Our family history is rooted in over 25 years of customer satisfaction, placing Windham Mountain Retreat at the pinnacle of today’s homebuilding market. We put you first through the entire custom home building process, making you a partner from start to finish for a personalized home you’ll cherish. And because we are custom builders, we offer the flexibility to suit your most unique needs. Here, your lifestyle will be complimented with a one-of-a-kind living space produced with top-quality craftsmanship by a team of experts. Choosing the right homebuilder is an integral part of the decision to build your mountain vacation home. At Windham Mountain Retreat we strive not only to customize and build your home to meet your expectations, but also place it in a setting that best complements its style and function. Call for an appointment to preview your future home site today and begin the process of building your mountain vacation home! Hudson Valley Home Source is an Award Winning Quality Custom Modular Home builder in the New York Tri-State and surrounding region. Hudson Valley Home Source builds custom modular homes in Orange, Sullivan, Rockland, Dutchess, Putnam and Westchester Counties in NY. Hudson Valley Home Source also builds custom Modular homes in New Jersey and Pennsylvania. Hudson Valley Home Source, LLC is an industry leader and innovator in the Modular Construction Industry. With a deeply-rooted respect for quality and tradition, HVHS utilizes cutting edge technology to ensure superior craftsmanship goes into every home they build. The team’s unique customer-oriented approach to home building means they take pride in being able to build the finest modular home coupled with the personal attention their clients deserve. 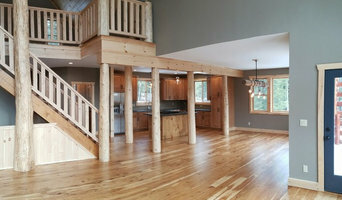 Hudson Valley Home Source offers a unique approach to modular home construction with the ability to build complex custom modular homes that many other modular builders and manufacturers would not be willing or able to build. There are one of only a few turnkey modular home builders in New York State and the Tri State Area. Hudson Valley Home Source, LLC is an award winner of the prestigious NAHB Building Systems Council “Top 30 Under 40” Award, 2008 BAHV Pinnacle Award Winner, Five Star Award Winner of the 2012 Talk of the Town Customer Satisfaction Award, 2013 Featured Builder of the Times Herald Record (Middletown, NY) Reader's Choice Awards, and 2012 BAHV Pinnacle Award Winner for Best Modular Home in the Hudson Valley. Hudson Valley Home Source, LLC was also the first NAHB Certified Green Modular Home Builder in New York State. JOE TASKO began building with his father as a young boy and fell in love with the ability to take basic raw materials and create something beautiful. He worked as a builder then a general contractor, then after years of experience and developing his personal building & design style, he founded Tasko Enterprises in 2000. Joe is committed to an excellence in design, building and finishing. The result is exhibited in his unique homes with exquisite details. While the homes are truly exceptional, they are also modern, family friendly and 100% livable. Joe works with a small team of trusted employees that have worked with him for over 25 years. To keep the team at the forefront of design, Joe travels overseas and seeks out the latest building & design trends. Classic European architecture details are also serve as inspiration. Joe then incorporates his interpretations from the new and the historic into the Bergen County residences he constructs. Founded in 1992, CORNERSTONE's mission is to build exceptional custom homes. The high standards we demand of ourselves set us apart from others and is the backbone of our philosophy. CORNERSTONE is a dynamic construction company: enthusiastic about our projects, selective about those undertaken, creative in finding solutions, and committed to providing the personnel, service, and technology to ensure success. We value our teamwork with Clients, Architects, Interior Designers, Engineers, and various Consultants and recognize their importance in the construction process. CORNERSTONE's work continues to be defined by: superior craftsmanship, attention to detail, and technical ability outstanding project management, organization, and coordination excellent value. Our Projects, often complex and challenging, attest to our expertise. Our Clients are successful, sophisticated, and discerning. They entrust CORNERSTONE with their important construction projects and are enthusiastic about the results. Our Team of Project Managers, cabinetmakers, carpenters, and painters are highly talented and experienced. By employing our own crews, CORNERSTONE is best able to control quality, budget, and schedule. In addition to our Construction Management and General Contracting services, CORNERSTONE is often called upon by Clients and Architects during pre-construction to develop preliminary budgets and schedules, secure permits, source materials, and identify subcontractors and suppliers. With A&J Romano, you'll experience unparalleled levels of customer service and responsiveness, benefit from our relationships with the finest and most reliable providers in the trades, and enjoy the satisfaction of living in a home built your way, on-time and on-budget. We can help with all stages of your project including initial planning and design, and we're here after you move in for new projects large or small. Customers for Life At A&J Romano, we like to say that once you're a customer you're a customer for life. We're always available for any new job - even the small ones - and we take pride in our repeat business. On many occasions, we've built or renovated more than one home for a customer. In fact, some of our customers have been with us for so long that we've been back for the updates decades after the initial work! Family Owned and Operated Since 1971 Founded in 1971, by John Romano's father and uncle, A&J Romano has built and renovated hundreds of homes across Fairfield and Westchester Counties. After 45 years, we've also built an enduring reputation for quality and service, and we're happy to provide references from our past clients. Experts in the Latest Building Technologies We've incorporated many of the latest energy-saving and money-saving technologies into our recent projects. 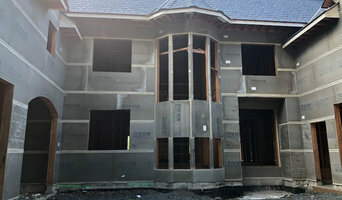 From window selection to insulation to special building materials and techniques, we can incorporate the newest innovations without breaking your budget - and you'll enjoy years of energy savings and peace of mind from knowing that your home is built to the latest standards available. Comprehensive Services from the Finest in the Trades As a full service general contractor, we take seriously our responsibility as overseer of all aspects of the home building and renovation, and we hold all of our subcontractors to the same high standards that we keep for ourselves. During our years in business, we've developed relationships with the finest and most reliable providers in the trades. From a new floor to a new roof to a whole new house, A&J Romano can be relied upon for the high standards and attention to every detail that has made us one of Fairfield County's most trusted general contractors. At Able Construction, we are fully committed to providing outstanding service with the highest level of integrity. We have been building homes in the Fairfield County area for over 15 years. We have long standing relationships throughout the community which ensures that we get things done properly. We believe that people make the difference. Architects, designers and homeowners trust us for superior craftsmanship, honesty, integrity, cost-effectiveness and timely completion of our projects. We take great pride in our work and it shows. We have earned a reputation for excellence in creating some of the most exquisite homes in the area. Since 1989 the Young Family and their dedicated team at CTM have been developing exceptional homes that are "Designed for Life, Built for a Lifetime". ConnecticutModularHomes.com is the mfg., sales and service arm of your project. GPG is the onsite team the customizes and put the details together to make your home a special place. 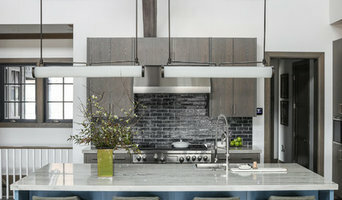 From very affordable simple standard models to luxurious custom homes priced well into the millions, ConnecticutModularHomes.com, creates homes for every lifestyle. Consistent throughout every home is careful attention to detail and a commitment to quality, value and service. CTM has been a member of National Association of Home Builders, Connecticut Chapter of the NAHB, Fairfield County Home Builders Association and the holds licenses in the state of CT for New Home Building and Remodeling. In addition we have been factory trained by James Hardie, Jeld-Wen, LBS and many other manufacturers of the products we use. Also members of our onsite crew are EPA Lead Safe Certified for any rehab work needed. In addition to more than three decades of history in New England, homebuyers have the added assurance that when they are buying a home from CTM, they are buying a home proudly built by the Young Family. CTM is a close-knit team long schooled in personal and business philosophy. We firmly believe building homes where people live and raise their families is not merely an occupation, but rather a craft, and in many ways an art. Every home is personally customized for our clients to meet expectations to budget needs. Thanks again for your time and we are here to help in any way we can. Just ask! Thanks again. Luxury Custom Home Developer. Specialize in Mediterranean, Traditional New England Colonial, Modern Transitional. We are a unique full service design-build company. Customers receive a well rounded team that are all focused on the final goal; a well crafted, energy efficient home, remodel or addition. New Construction, Remodeling, Molding, Aditions, Power Wash, Paint, Tile. Greenwich based award winning home builders. Specializing in custom homes, renovations and construction management. Duffy Craftsmen takes customer service and attention to detail to the next level.